Trump To Visit Areas Affected By Hurricane Florence - Joe.My.God. President Donald Trump is planning to visit areas affected by Hurricane Florence next week, though his exact plans are not yet finalized. “The President is expected to travel to areas affected by the storm early to middle of next week, once it is determined his travel will not disrupt any rescue or recovery efforts. We will keep you posted when we have details,” White House Press Secretary Sarah Sanders said Friday. 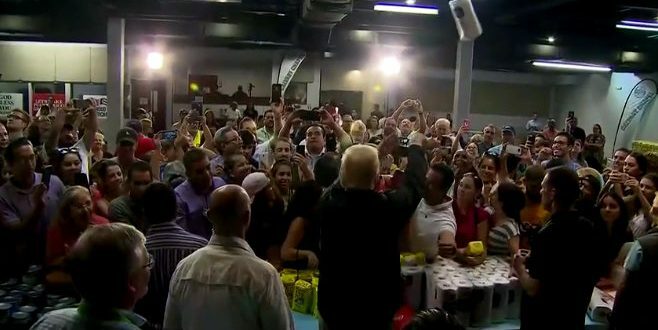 Trump has been criticized for his response to Hurricane Maria, which hit Puerto Rico last September and resulted in nearly 3,000 deaths. Trump has said, without evidence, that death total is not accurate. Maria came after two other deadly storms — Hurricane Harvey in Texas and Hurricane Irma in Florida. More than 100 people died as a result of both Hurricane Harvey and Hurricane Irma.